stage 1 & kept all the way to Paris. 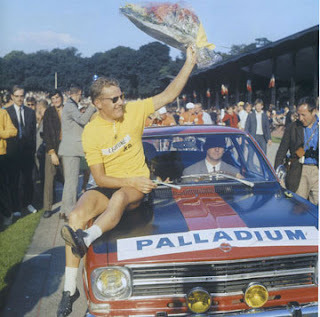 Charly Gaul (r) was third. The famous French clothing manufacturer Le Coq Sportif scored a revolution to return as official supplier to the 2012 Tour de France. Le Coq crows ... again! Since 1996, Nike is the current supplier and will step down to be replaced by the popular French clothing icon. 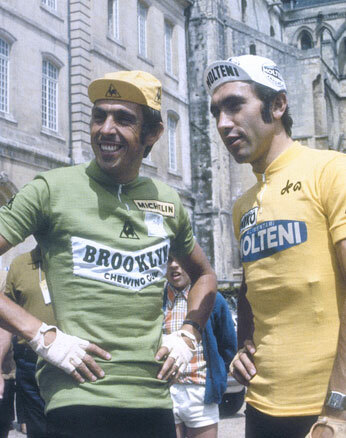 Le Coq will crow once again celebrating it's 130th anniversary adorning the Tour's famous jerseys; Yellow, Green, Polka Dot & White. 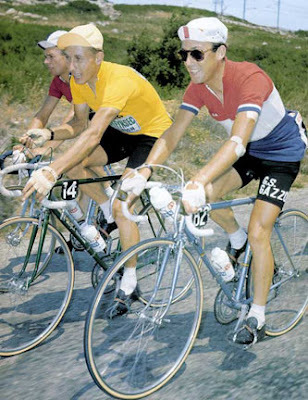 Le Coq Sportif started in the 1951 Tour, that year, won by Hugo Koblet. Born in the late 19th century, the brand was founded by Emile Camuset passionate about sports especially track & field, football and cycling. Le Coq Sportif began in 1882. 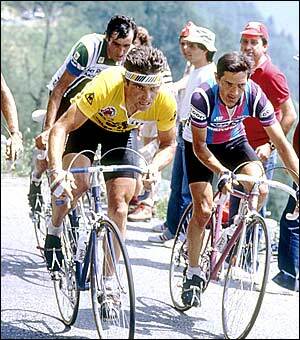 Patrick Sercu & Eddy Merckx. Last year of the reign of Le Coq Sportif. Agreed! 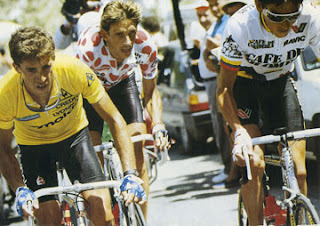 The proud French Coq will crow again!